I’ve only had it a week, but I am surprised by what an important role it plays. Baskets are not like bags. If you put things in them the contents stay upright and don’t crush other things you are carrying. I took it to our local farmers market at the weekend and filled it with bread, sausages, butter, doughnuts and wine and they all came home unharmed and undented. Of course baskets are good for the environment too and unlike reusable bags they are hard to lose! Of course if you’d rather use one around the house then they could serve a hundred purposes. Jim tried to steal this one to keep kindling in and Theo assumed it had been sent to store his cars in, although to be honest he thinks most things are intended to store his cars in! Terms & Conditions : Entry is via Rafflecopter only. Prize is one oval wicker shopping basket, there is no cash alternative. UK mainland addresses only. Competition closes on 15th April and the winner will be contacted by email. If they do not respond to the winning email to claim their prize within 14 days another winner will be drawn. I need one of these in my life so we can go naked shopping 😉 – yes that is a real thing! I have a thing about baskets too. This one is so pretty! It’s a gorgeous basket – good choice! I love baskets! And boxes too. Anything container-y. Which makes me sound tidy and organised, but, unfortunately, it’s more aspirational, I’m afraid! 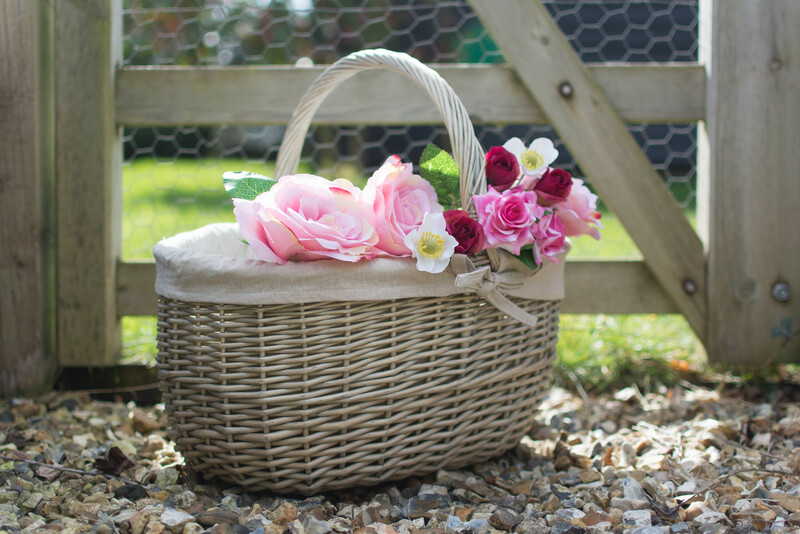 Its gorgeous, I have a bit of a basket obsession, they look fab filled with flowers. I love this basket, just what I could do with now the weather’s looking good and I’m doing a massive Spring clean. Lucky girl, congratulations on your recent Debenhams Easter win.